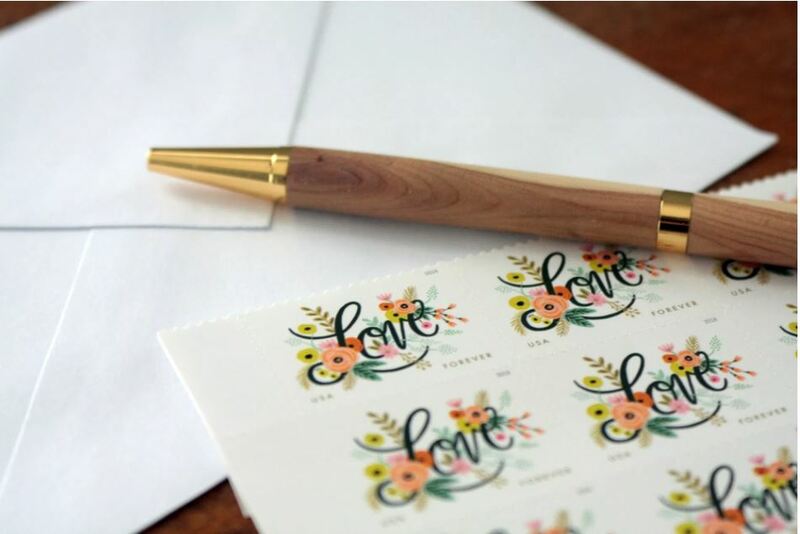 *Be sure to read through to the end to get your 4 FREE pen pal printables. The easiest and safest way to find a pen pal is to contact someone you know and trust who lives in another state or country. I had success with a friend who moved out west. She was able to connect me with another homeschool mom who had a daughter my daughter’s age. Finding a pen pal is simple through social media. If you have a Facebook account, you can send out a request to your friends. Chances are if they don’t have a child who’d be a suitable pen pal, they know someone who does. It’s helpful to determine how frequently your child and pen pal will correspond. After communicating with one mom, we decided that, given the age of our girls, writing a letter twice per month was a reasonable expectation. If your child is older, he and his pen pal may want to work out a writing schedule on their own. What do you say to someone the first time you meet? Writing the very first letter is similar. Help your child think about what he’d say if he were meeting his pen pal face-to-face. To introduce himself, he might tell his age and some of his interests. He could write about favorite hobbies, favorite subjects in school, and how he likes to spend his free time. His pen pal doesn’t know anything about him, so there are many possibilities. Remind your child to save some details about himself for other letters. They’ll be plenty of time to tell more about himself as his relationship with his pen pal grows. Guide your child in how to close his letter. Telling how excited he is to get to know his pen pal or how much he’s looking forward to getting a response will be well received. Discuss the importance of asking questions. Asking questions shows someone you are interested in their lives. Your child’s pen pal doesn’t want to read an autobiography. There needs to be some give and take. Generate a list of questions together to help her know what’s appropriate to ask. Sometimes kids forget what they’ve asked their pen pals in previous letters. This is especially true if they’re writing to several different pen pals. A simple solution is to check off the questions they’ve asked. I’ve put together a list of 35 Questions to Ask Your Pen Pal that you can download at the bottom of this post when you sign up to our mailing list. Occasionally your children may want to add small flat items to their letters for extra fun. Weigh the envelope to make sure you have the proper postage, or mail it directly from your post office. What child doesn’t like to receive a little gift in the mail? Use a chart to keep track of when you received a letter and when you sent one. Find a container to store your letters together with your log and you’ll have everything in one place. 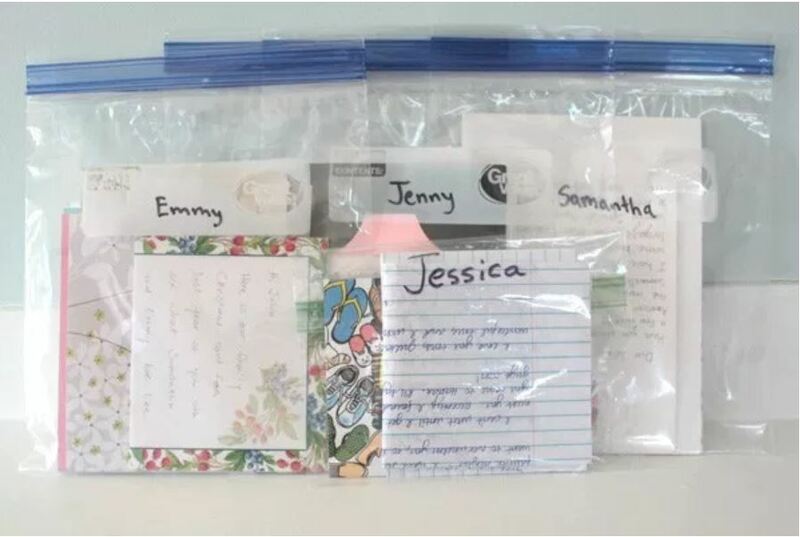 My daughter uses reclosable plastic bags to organize her pen pal letters. Then she keeps the plastic bags inside a box for safekeeping. After you find a pen pal for your child through your social networks, help him write his first letter and address the envelope correctly. 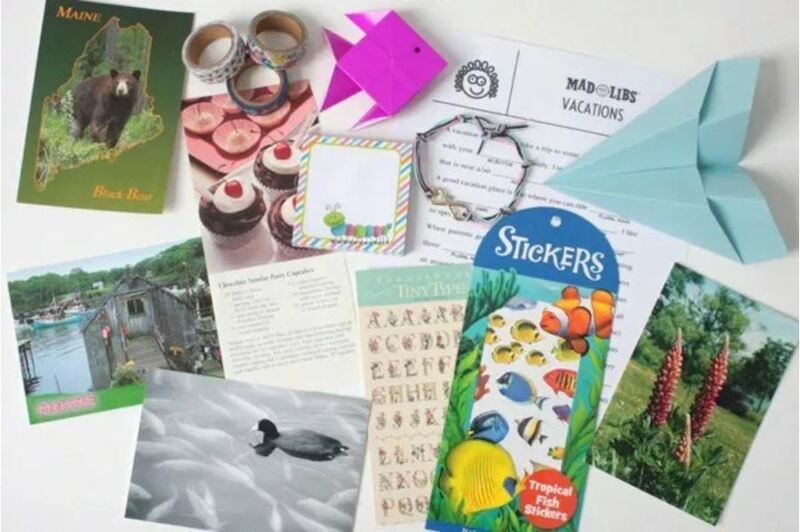 Keeping track of details, like the questions he asks, the small gifts he sends, and general information about his pen pal will be helpful references for writing more letters. Depending on memory alone is not always enough, especially when writing to several pen pals. I’m looking for a penpal , need help :( ? !